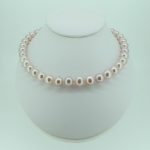 When you wear this necklace, be prepared for some very close scrutiny from everyone who sees it, because the collection of pearls in it can only intrigue. 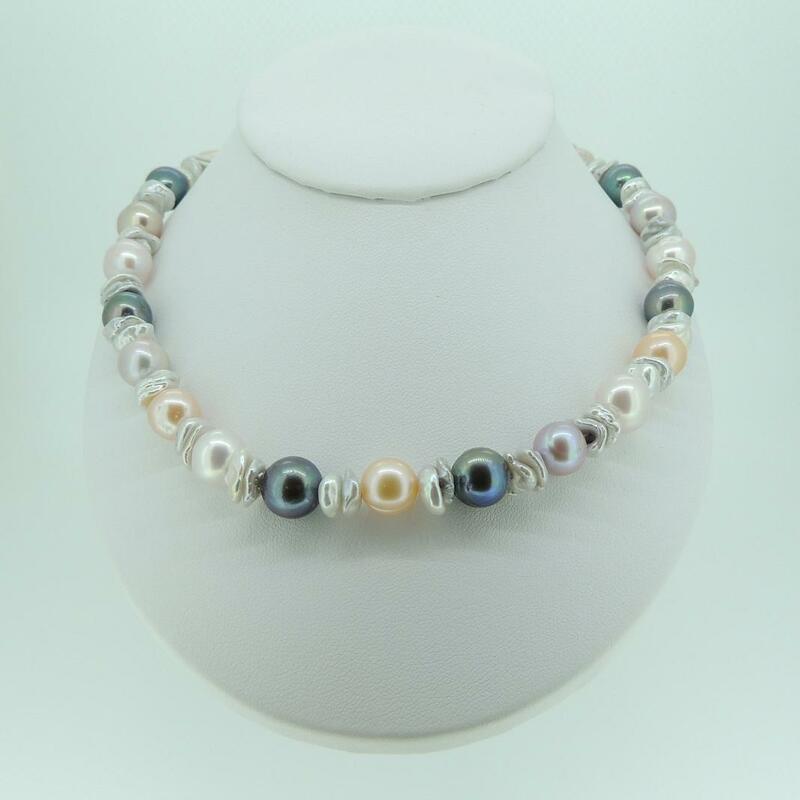 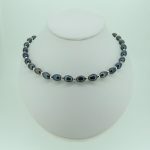 Consisting of cultured freshwater pearls in different colours – including black – interspersed with 7-8mm grey keshi pearls, this necklace has a very art-nouveau look, with the natural shapes of the keshi pearls serving to bring out the beauty of the spherical ones even more. 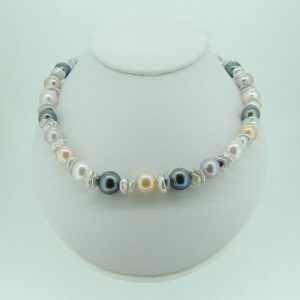 Strung on silk with a rhodium plated silver trigger clasp, the finishing touch of an adjustable chain with a pendant pearl on the closure just underlines the quality of this product.